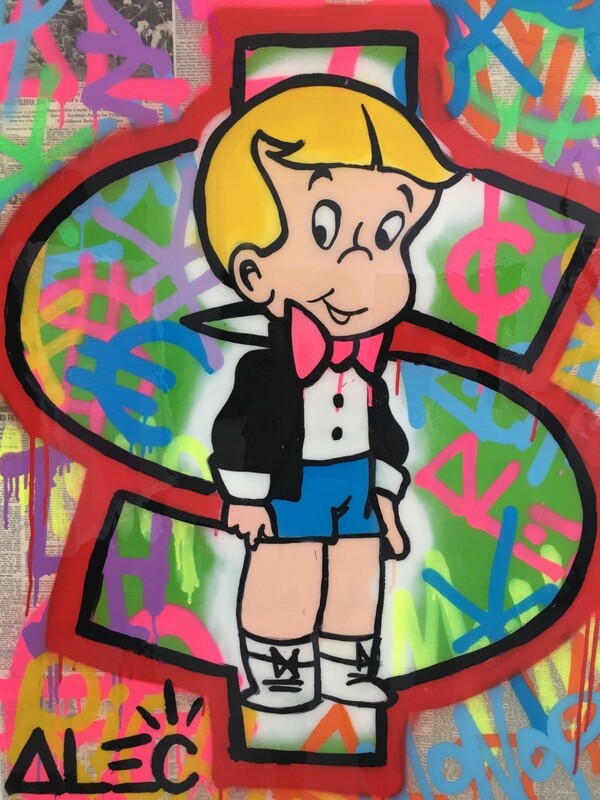 is the alias of an unidentified graffiti artist, originally from New York City. 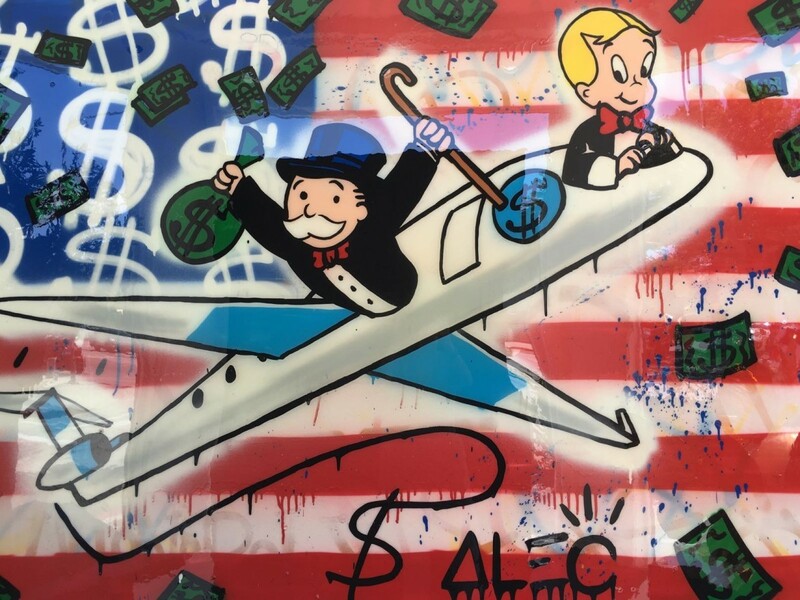 He is an American street artist known for appropriating the board game Monopoly’s mascot, Rich Uncle Pennybags, or simply Mr. Monopoly, as his primary motif. 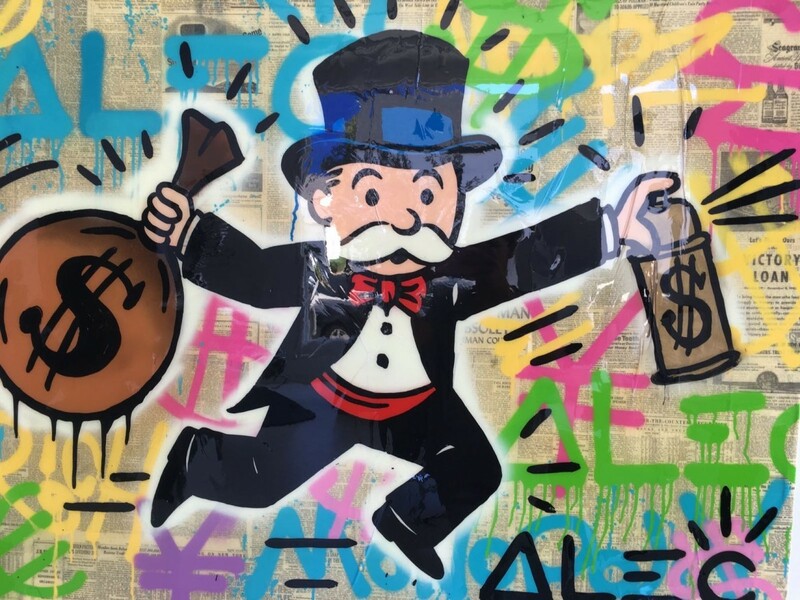 Living and working in Los Angeles, Monopoly subverts image and text to critique Capitalist hierarchies with the language of consumer culture, media, and Pop iconography—similar concerns to anonymous British street artist Banksy.